I would like to warmly welcome you to the new SAS pages on the Yorkshire and the Humber HEE website. My name is Mark Radcliffe and I am your SAS Regional Tutor, I took up this post in April 2015 from Ros Roden Associate Post Graduate Dean who led the development of the SAS Tutors since 2010, and our thanks go to her for her encouragement and support. 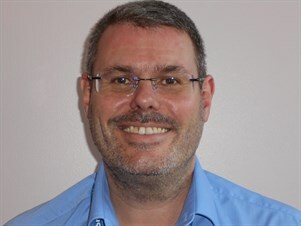 I have trained and worked in psychiatry in the Yorkshire area since 1990 and am now an Associate Specialist in General Adult Psychiatry in South West Yorkshire. I took up the role of SAS Tutor in our mental health trust in 2010, and found myself meeting enthusiastic and committed SAS Tutors from across the region who work hard together to create opportunities for the professional and career development of SAS Grades across the region. My role is to continue to develop and support the SAS Tutors and to ensure that the Tutors work in a supportive environment within their trust so they can carry out their duties. To help with this I have developed some guidelines on the use of the SAS Development Fund and the role and appointment of the SAS Tutor. Myself and Barbara Green P.A. have begun to meet up with each SAS Tutor and the local Medical Education Teams to introduce the guidelines and to hear how things are currently working . It has been a delight to encounter many great teams with a very positive attitude and forward thinking plans for the development of the SAS Grade and I hope to be able to share best practice from trust to trust. I look forward to an exciting 2017 and would like to encourage all SAS Grade Doctors and Dentists to make contact with your local SAS Tutor to discuss your career aims and to explore the various courses which are on offer in the region.